The SPA-CE with many ideas for relaxed and healt hy way of living. On the initiative of the Slovenian Spas Association and of wellness centres, Ljubljana and different Slovenian spas hosted the first Exhibition of Spa and Wellness Tourism in Central Europe from 1 to 4 October 2009. 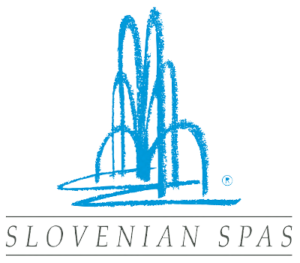 In addition to Slovenian providers of spa and wellness services, the organisers also invited representatives of Italian, Austrian, Hungarian, Czech, Slovak, Croatian, Serbian and Montenegrin thermal spas. The Central European pool is rich in thermal water and spa tourism and a joint presentation of the region’s representatives is more than sensible. For the first time, this combined the region’s offer in one place, presenting a unified offer of spa and wellness tourism. This presentation enabled hosted representatives of DMCs, travel organisers and incentive trips organisers and representatives of insurance houses and healthcare institutions to get acquainted with the offer of this broader destination all in one place. As this is a B2B event, exhibitors and visitors was able to arrange meetings up to a month before the actual event by using an appropriate online application that will increase their successful presence at the exhibition even more. The rich programme accompanying the exhibition included presentations of the region’s spa tourism, good practice examples and an active exchange of experiences, trends and visions. The exhibition took place in Slovenia’s capital, Ljubljana, which is located at the heart of Central Europe, thus representing an ideal meeting and starting point. The organisers of the SPA-CE Exhibition was pleased with the initial response from all interested parties and their applications. Even though this is a new business and sales event, the interest from exhibitors and hosted buyers surpassed the organisers’ initial expectations. This clearly indicates that the idea of combining the specialised offer of Central European destinations was the right one.